The Black Isle is brilliant for cycling, with some superb on and off-road routes to be explored on two wheels. Using a bike is cheap, gets you fit, and is a great way to beat the queues - particularly relevant when the Kessock Bridge is busy. Additional Home Energy Scotland offer short-term eBike trials, lasting from 3 days to 3 weeks. For more information about ebikes, to request an application form, or to learn more about the full terms and conditions please call Home Energy Scotland free on 0808 808 2282. 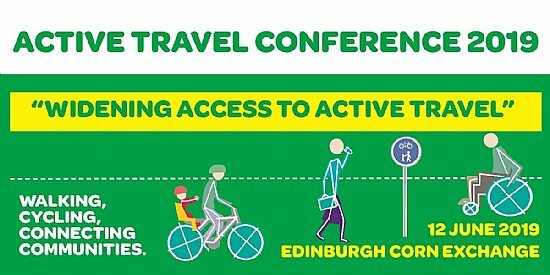 Walking Cycling Connecting Communities National Active Travel Conference will take place on 12 June 2019, at Edinburgh’s Corn Exchange. Following the success of the 10th anniversary event in May last year in Perth, the 2019 event will seek to build on the breadth of organisations and voices represented at the conference.